Is New Orleans’ loss also Houston’s loss? 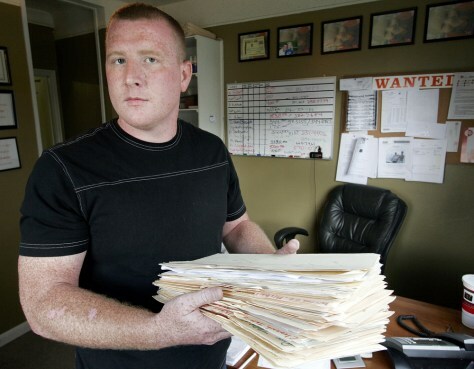 Michael Wright, a bounty hunter, holds case files of recent apprehensions in his office in Metairie, La., on Aug. 10. Houston took in 150,000 evacuees, most of any U.S. city, after Katrina struck. Now Houston police say evacuees are partly responsible for a nearly 17.5 percent increase in homicides so far over the same period in 2005.